When it comes to using coupons, along with Walmart, Walgreens has to be one of the best stores. Its prices are already pretty low and it offers quite a few ways for customers to find and use coupons. If you know what you’re doing (no you don’t have to be an extreme couponer), and properly understand the store’s coupon policy, this drug store can be a couponers paradise. Unfortunately, Walgreens coupon policy can be a bit confusing. 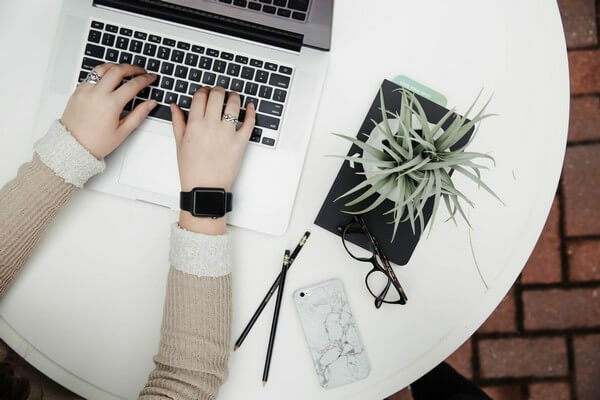 With so many ways to save money, from Balance Rewards to printable coupons, to Register Rewards, knowing even where to begin couponing at Walgreens can be tough. Fortunately, we’ve put together an in-depth post that’s designed to make sense of Walgreen’s complex coupon policy and tell you all of the ways that you can save money at Walgreens with coupons. Walgreens has quite a lenient coupon policy, so it’s a good place to coupon. Here’s how you can use coupons at this awesome store to save hundreds of dollars. 1. Join The Balance Rewards Program: What it is and why it’s important! One of the main ways that the company offers savings to its customers is through its Balance Rewards Program. Before you start gathering coupons, you need to sign up for the Balance Rewards program. We can’t stress the importance of this enough! It’s vital for successful couponing here, and for saving money at the store in general. Balance Rewards is a loyalty program where members earn points each time they shop. Points can be earned on everything from fruit to prescriptions. The best part is that you can redeem these points for store credit. But, that’s not all. You also get access to paperless coupons from the store. So, if you want to get the most out of couponing here, you definitely need to sign up for the Balance Rewards program! It’s easy to become a member of the Balance Rewards program. Joining is completely free, and the program is available to anyone who shops at Walgreens. Join the program at one of the store’s checkouts or photo kiosks or visit the website. You can also download the Walgreens app to join. Also, this app gives you rewards for making healthy choices, like walking and managing your weight. So, if you’re into walking or you just want to get healthier in general, then this is another reason to sign up for the program. You can read more about this and other apps that reward you for being fit in our recent “Get paid to be healthy” post. Now that you’re a member of the Balance Rewards program, you can start maximizing your savings each and every time you shop at this drug store. To really maximize the amount you can save, you need to get your coupons from a wide range of sources. The store provides customers with access to coupons from its own registers. One of the great things about being a member of the Balance Rewards program is that it gives you access to extra coupons called Register Rewards. Occasionally, you’ll get a coupon along with your receipt when you shop at the store. This is known as a Register Reward. These coupons print at the register. Usually, this coupon gives you money off a future purchase at the store. We’ll tell you more about the Register Rewards, and how to get them and use them later. If you don’t already know, Walgreens provide customers with monthly savings books. There’s a huge selection of store coupons featured in this book, so we highly recommend picking it up each month. You can usually find the store’s monthly savings book near the front of the store. They are usually next to the weekly ads. What’s really great about this book, is that you don’t need to clip the coupons you find in there. When you get to the register, just ask the cashier to scan your desired coupon right from the booklet. The coupon is automatically applied to the qualifying item. And, if you want to use the same coupon again, then you can. Let’s say there’s a coupon for Crest toothpaste in the booklet. If you buy 3 tubes of it, then you can use a single coupon for all of them. So, if you purchase multiple identical items, you’ll save on all of them. Here’s another handy tip: It’s easy to forget that there’s a coupon for something, or even miss a coupon when you’re flipping through the booklet. But, don’t worry. Handily enough, Walgreens places yellow tags on the shelves for items featured in the coupon book. It’s a great reminder to use your savings book coupons. Each week, the store publishes a sales flyer. This ad flyer includes coupons for a plethora of products. We definitely recommend picking up one of these flyers. They’re usually released each Sunday. 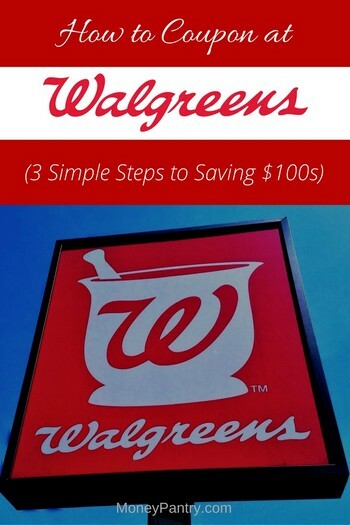 If you forget to pick up a coupon book or flyer, or if you just prefer to use digital coupons, then a great alternative is the Walgreens Coupon app. With this app, you can get access to all of the store’s coupons, without having to pick up any booklets, flyers or pamphlets from the store. You can clip these digital coupons and they’re attached to your Balance Rewards account. When you reach the register, any coupons you clipped are automatically redeemed. This is such a convenient way to use the coupons that the store offers. Rather than having to pick up flyers, and scroll through coupon booklets, you can just select the coupons you want on your phone before you even visit the store. If you’re serious about couponing, then you must visit coupon websites. Online, there are dozens of websites that feature coupons for all sorts of products and brands, from hair dye to diapers. There really are so many great coupons online that you might not find anywhere else. Many manufacturers, like Kellogs and Pampers, actually post coupons for their products right on their websites. Really! Have a think about the brands that you frequently buy products from, and then visit their websites. Another website called Everyday Saver is also great for printable grocery coupons. Going directly to the source is a great way to get coupons that you might not find elsewhere. Featuring coupons for well-known brands and popular products, coupon websites truly are one of the best resources for frugal shoppers. There are so many of them around, however, that knowing where to even begin can be tough! If you want more great coupons sites to visit, then make sure you take a look at our post on the best grocery coupon websites. When you find coupons, make sure you print them out at home and then take them with you to the store. The Internet is an awesome place to find coupons, but newspapers and magazines are still invaluable resources for couponers. So, make sure that you don’t neglect them! Look out for coupons in the Sunday paper. These can be for certain brands or products. Before you pick up a paper, visit Sunday Coupon Preview. It’s a website that gives you details about what coupons are going to feature in the Sunday paper, in advance. This means that you can see whether or not it’s worth getting a paper. After all, there’s no point getting newspaper that contains coupons for products that you never use, or for brands that you never buy from. If it looks like the newspaper will include coupons that you’ll use, then consider picking up multiple copies. Like newspapers, magazines often feature coupons. While newspapers tend to offer a more varied range of coupons, magazines generally feature coupons catered to the audience. For instance, fashion magazines usually include coupons and free beauty product samples. Consider what products you’d like to save money on, or items that you need to buy and then check out related magazines. Grocery cashback shopping apps or rebate apps, as they’re also known, make saving money at Walgreens even easier. What these apps allow you to do is get cashback each time you shop at the grocery store. What’s great about rebate apps is that you don’t have to do anything in-store. All you need to do is select the offers you want and take and upload a photo of your receipt, then you receive a rebate. It’s really simple, but effective. One of the best rebate apps is Ibotta. To get a rebate with it, you simply select the cash back rebates you want before you shop, buy the eligible products at the store, and take a photo of your receipt to verify your purchase. Ibotta gives you the rebate in the form of cash. It’s kind of like regular couponing but in reverse! With a regular coupon, you clip it before you go to the store, and then when you’re in the store, your coupon is deducted. On the other hand, with rebate apps like ibotta, you select the offers you want and shop as you normally would at the store. You don’t have to redeem anything in the store. After your shopping is done, you verify your purchase and earn. For example, there might be a rebate that gives you $1.50 off a pack of Pampers diapers. So, you’d visit the store and buy the diapers like normal. Now that you’ve gathered your coupons, it’s time to start using them to save money. In order to really get the most out of your coupons and your Balance Rewards Points, you need to know how to use them for maximum savings. Using coupons tactically ensures that you always get the best deal on what you buy. One thing that makes Walgreens a good place to coupon at is the fact that the store lets you use a manufacturer coupon and an applicable store coupon on a single item. Essentially, it allows you to double coupons for extra savings. We highly recommend that you do this whenever possible. Of course, you’ll need to do a bit of planning – but all good couponing requires a bit of preparation. Before you do your shopping, take a look at the store’s monthly Savings Book, flyers, or app to see what coupons are available. Then, look online and offline to see if there are any manufacturer coupons that you can use along with the store’s own coupons. It’s a good idea to set up a coupon binder or make some notes on your phone about the coupons you plan to combine. Doing this saves you the time and hassle of figuring out or remembering the coupons you need to use once you get to the checkout. Using store coupons and manufacturer coupons together can really boost your savings. For example, let’s say there’s a coupon in the monthly Savings Book for $1 off Pampers diapers. And, you have a manufacturer coupon for $1 off Pampers diapers, then you could use both coupons to get a $9 pack for just $7. Isn’t great when something you want goes on sale? It’s amazing to get a product you normally use at a much lower price. What’s great about Walgreens is that it allows you to use manufacturer coupons for items that are on sale. This means that you can get an already reduced item for even less! So, check out the clearance sections at the store, and use a manufacturer coupon to save even more. As we mentioned above, the store sometimes gives customers Register Rewards when they use their BR card to buy certain products. These coupons can save you anywhere from $1 to even $10 or more. Not all products will earn you Register Rewards. But, don’t worry – you don’t have to try to guess what items will earn you a Register Reward. Handily enough, the company discloses which items will net you RRs in its weekly ads. This means that you know what products to buy to get your RR before you even start your shopping. Also, products on the shelves usually have a yellow label below them that indicates if they’ll earn you Register Rewards. For example, a label might read “buy a tube of Crest Po-Health Advanced Active Strengthening toothpaste for $3 and earn a $3 RR”. Each week, make sure that you check Walgreens’ ads to see what Register Rewards you can take advantage of. As with all coupons, there are limitations and rules in place for Register Rewards as well. The store limits customers to 1 RR printed per offer per transaction. Also, as these RR coupons are sort of like Catalina coupons, they have an expiration date. If you want to redeem a Register Rewards coupon, make sure that it’s within 14 days from the day the coupon was printed. As you already know, Walgreens allows you to combine coupons in a couple of different ways, including using manufacturer coupons with store coupons and using a coupon on a sale item. But, sometimes, depending on the offer and the product you’re buying, you might be able to stack coupons even more for even better savings. You can sometimes use a manufacturer coupon with a store promotion, and stack a rebate app offer on top of it! Let’s say that you have a rebate offer on Ibotta for $1 off Dove Deep Moisture Body wash.
During the time that the offer is valid, the store also runs a promotion that puts this body wash, which normally costs $6.99 on sale for $5.99. You also find a printable manufacturer coupon for this body wash on Coupons.com for $1 off. In the end, you get the $6.99 Dove Body Wash for just $3.99! If there’s a store coupon and a Register Reward available for that product, you might be able to save even more. Understanding a store’s coupon policy can save you a lot of time and hassle down the line. Some stores, like Walmart for instance, give you cash or store credit if the value of your coupon exceeds the total value of your purchase. So, if you’ve got twenty-five dollars’ worth of coupons, but your purchase only comes to $20, then you get $5 back in the form of cash or store credit. This is known in the coupon world as ‘overage’. Unfortunately, Walgreen states in its coupon policy that all coupons have no cash value and that the store doesn’t accept coupons that exceed the selling price of an item. This means that coupons can’t be exchanged for cash or gift cards. When it comes to competitor coupons, Walgreens has a much more stringent coupon policy than Walmart. Comparatively, Walmart’s policy is more generous. Walmart allows you to use competitor coupons, meaning you can use a Target coupon at a Walmart store. But, don’t expect competitor coupons to be accepted here. The store clearly states that competitor coupons are not accepted. The total number of manufacturer coupons can’t exceed the number of items in the transaction. The total value of your coupons can’t be more than the value of the transaction either. Blurry or distorted coupons aren’t accepted by the store. You also can’t use a coupon that has been altered in any way. Also, if the coupon you want to use doesn’t have a clear, scannable barcode, they won’t accept it. You know those coupons for freebies that you find online? Well, don’t expect to be able to use them. The store doesn’t accept internet coupons for free products. If you want to use a manufacturer coupon, then it must include a valid redemption address. The store needs this address; otherwise, it won’t know where to send the coupon to get its money. The store only accepts digital coupons that are attached to your Balance Rewards account. This means that you can’t take in your mobile phone and show the cashier an image of a digital coupon or give any other digital reproductions of offers. So, if you find coupons online, make sure you print them out, as there’s no way you can use digital coupons, other than those attached to your BR account, in the store. If there’s any offer that gives you a free product in exchange for purchasing another product, such as buy one get one free or buy two get one free, then the amount of coupons used can’t exceed the total number of items required in the “buy” section of the offer. The store can limit the amount you purchase using coupons and other savings if it wants to. Many stores do this. For example, if there’s a coupon for a certain shampoo that gives you $2 off, then the store could have a limit of 10 units per person. Make sure you read the fine print on coupons and ads to save yourself some trouble at the checkout. Like any other store, Walgreens does have coupon limitations and rules. However, their coupon policy is still one of the more generous, as it allows you to combine coupons to maximize savings. If a product is out-of-stock, the store might give you a Rain check. Rain checks are only valid for 60 days and for in-store purchases. Please be aware that stores frequently make adjustments to their coupon policies. This means that something that may have been allowed previously might be prohibited in the future. We strongly suggest that you check out Walgreens’ coupon policy. Get a copy of it on your phone, or print one out. This way you can refer to it at the store anytime you’re unsure of something. At, Walgreens products are already reasonably priced, but when you combine coupons with those reasonable prices, you save even more. What’s great about the “at the corner of happy and healthy” store, is that it allows you to use more than one coupon per item, and you can even use them on sale items. This means that savings at the store can be really big. So, sign up to the Balance Rewards program, gather your coupons online and offline, and start using them strategically! You could save hundreds of dollars. That’s how you coupon on at Walgreens! 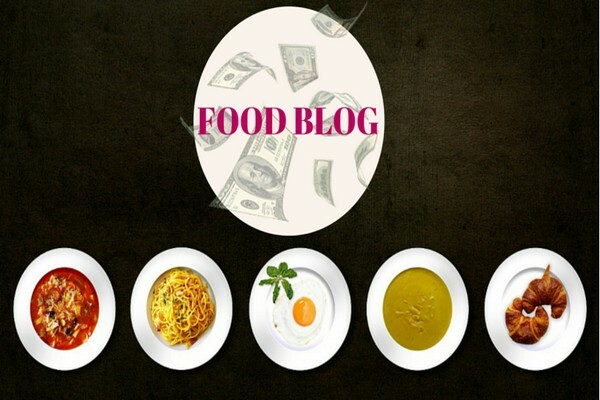 How to Make Money with Your Food Blog: A 5 Ingredient Recipe!